It was a beautiful day for our first Weed Wrangle®-Houston and it was great to work along side Houston Audubon (Sarah Flournoy), Houston Parks and Recreation (Kelli Ondracek and Jed Alpaca) and Houston Parks Board (Keith Crenshaw). Before we started to work we received instruction on what to pull: Britton’s Wild Petunia (Ruellia cerulean), Chinaberry (Melia azedarach) Chinese Tallow (Triadica sebifera) and lots of Elephant Ear (Colocasia esculenta). We had tackled the Elephant Ear last year, which were much larger. These were small and in very soft ground. We were told to leave the Chinese Lantern, shown in the photo with the caterpillar, and there was some cucumber vine that we left on the edge by the path to help with the erosion. We also brought some native plants and trees that were community contributions from our recent Bulb and Plant Mart and planted them and some trees that had to be replanted after Harvey. There is a photo of the trash that was still in the existing trees about 10 feet up that was left there from the flooding of the Bayou. All in all in was a great day we had 35 participants. We enjoyed working with our community partners and leaving White Oak Bayou Park cleared of many invasive plants. This Park has recently received some funding, when finished, it will be a nice little haven off the bike path with a direct link to the residential area. Next week we are do our first Garden Club of Houston Bike Ride on the Bayou. In approved areas, we will be throwing seed bombs that were made by our Junior Gardeners at the Bulb and Plant Mart. We are doing an 8 mile ride with some of our community leaders. The Garden Club of Houston’s mission is to complete a one-day volunteer Weed Wrangle® at White Oak Park. The Park sits on the banks of White Oak Bayou, which begins northwest of FM1960 and runs all the way to downtown where it joins Buffalo Bayou. Within the city limits, the Bayou is an uninterrupted green space and part of the Bayou Greenway 2020 Project. Our partners for the day include Houston Parks and Recreation, Houston Parks Board and Student Conservation Association. Our goals for the day include collaborating with our partners to remove invasive species such as elephant ear, lantern vine, giant ragweed and tallow trees, plant native species and educate the volunteers so that the leave with a better understanding of why native species are so important for habitat. Beginning northwest of FM 1960, White Oak Bayou flows southeast almost parallel to Hwy. 290 toward downtown Houston where it joins together with Buffalo Bayou. As part of the Bayou Greenways 2020 project, Houston Parks Board and its project partners are transforming White Oak Bayou into White Oak Bayou Greenway. White Oak Bayou Greenway offers a ribbon of greenspace and uninterrupted hike and bike trails along the bayou within the city limits – approximately 15 miles from downtown to the city limits – connecting the parks, neighborhoods and people along the way like never before. Parks found along White Oak Bayou include Watonga Parkway Park, T.C. Jester Park, Stude Park, White Oak Park and Hogg Park. There’s plenty to do and see along White Oak Bayou Greenway. Created by city ordinance on March 15, 1916, the Department of Public Parks, as it was called at the time, began with two facilities, Sam Houston Park and Hermann Park Today, the Houston Parks and Recreation Department (H.P.A.R.D.) system includes 375 developed parks and more than 220 greenspaces totaling over 37,871 acres. On October 15, 2008, the department became one of only seventy-nine agencies in the country to have received national accreditation through the National Recreation and Park Association’s (N.R.P.A.) Commission for Accreditation of Park and Recreation Agencies (CAPRA). This peer assessment and self-evaluation process provides external recognition of an organization’s commitment to quality and improvement. The department was reaccredited in 2013 at the National Recreation and Park Association Congress and Exposition held in Houston. 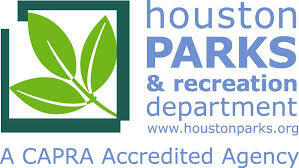 The Houston Parks Board creates, improves, protects and advocates for parkland in the Greater Houston region. 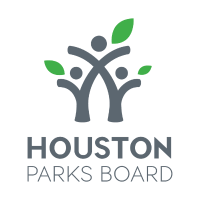 A nonprofit 501(c)(3) dedicated to providing access to quality parks and greenspace for all people, Houston Parks Board creates, improves, protects and advocates for parkland in the Greater Houston region. Since 1976, the organization has utilized public-private partnerships and its extensive philanthropic, government and community relationships to improve parks large and small. Houston Parks Board is currently leading the transformational $220 million Bayou Greenways 2020 project to create a 150-mile network of connected parks and trails along Houston’s major waterways. SCA’s mission is to build the next generation of conservation leaders and inspire lifelong stewardship of the environment and communities by engaging young people in hands-on service to the land. Today we stand at a critical point in time where the desire to do something can be met with the need to preserve and protect our environment. SCA is there. Every day SCA unites young people with hands-on environmental challenges. Every day we create future stewards of our land, healthier environments and ultimately a better world. 2017 marks the Student Conservation Association’s 60th Anniversary. As we look back and remember, what becomes abundantly clear is that while times change, SCA remains a stalwart presence for conservation and our country. The young people with whom we work gain an adeptness, an ability to press beyond whatever challenge comes next.